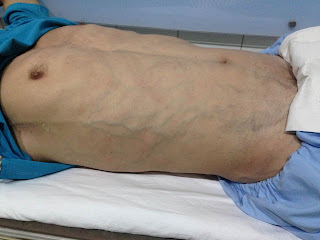 Man 35 yo, hematuria repeated many times with many dilated subcutaneous veins on the abdomen wall [photo]. 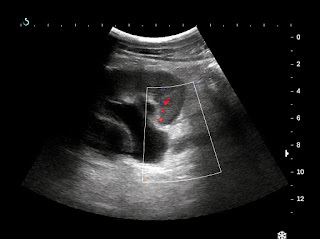 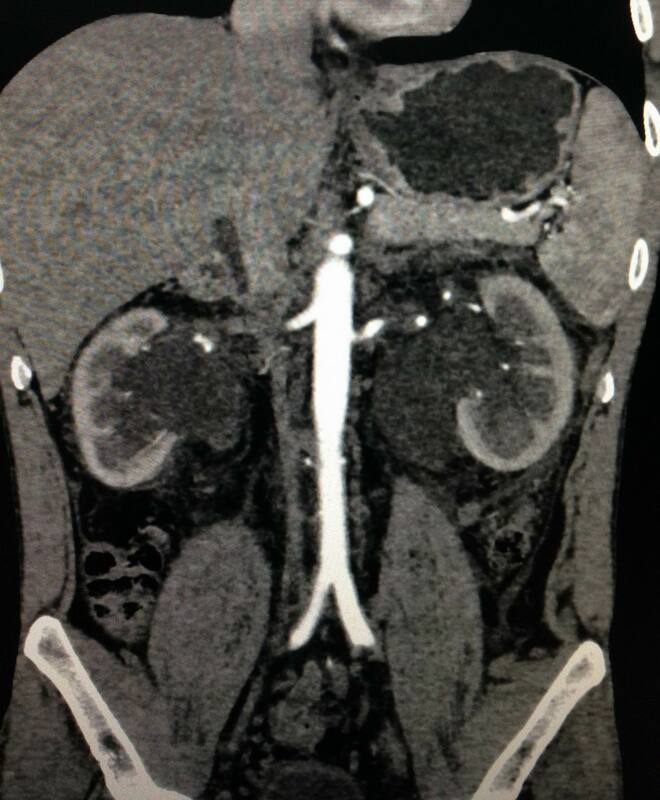 US of kidneys showed righ and left kidney looked like hydronephrosis. 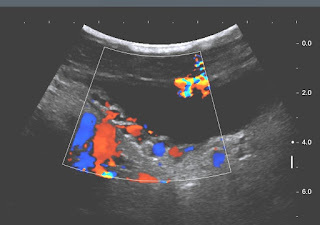 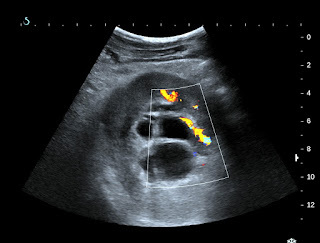 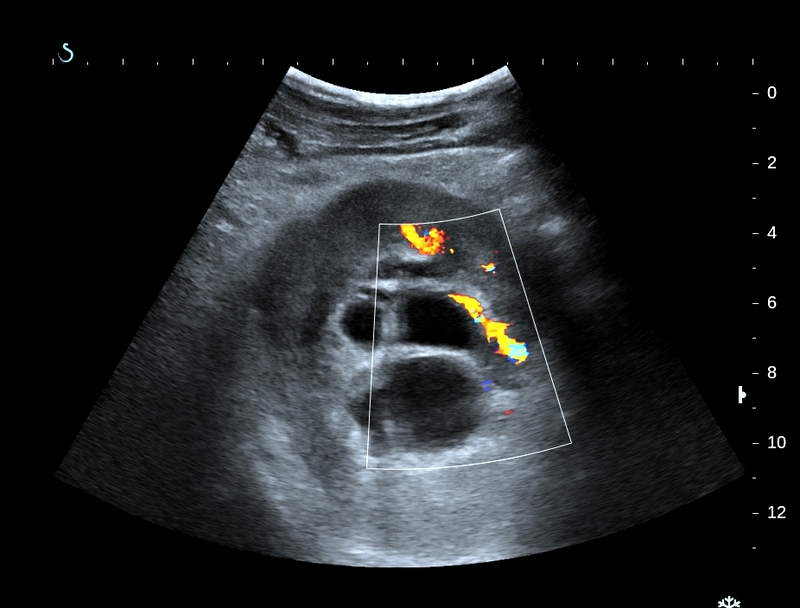 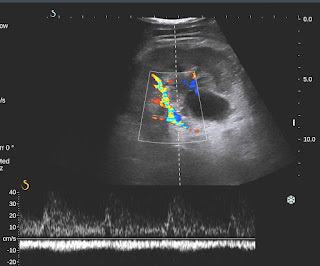 But cannot detected the cause ( US 1, US 2) US 3 = CDI of renal artery; US 4 = spectral Doppler of pyramid arteries; US 5 = varicosis in urinary bladder wall. 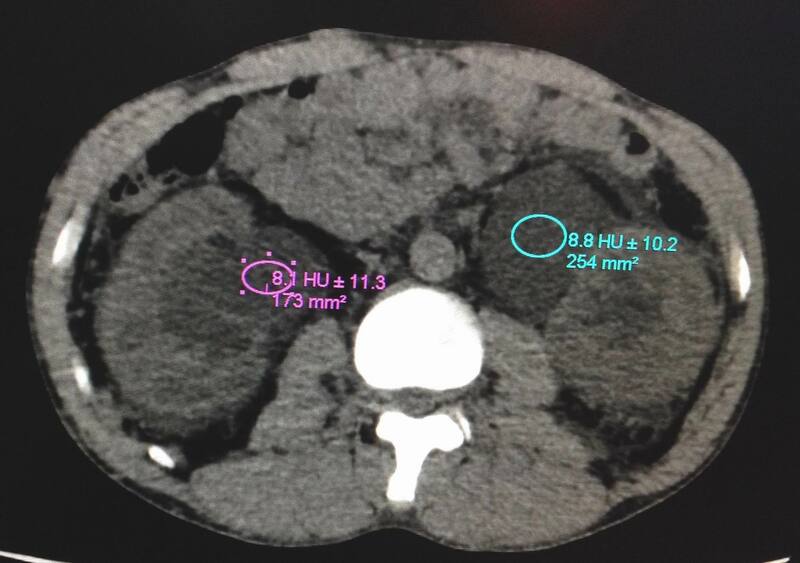 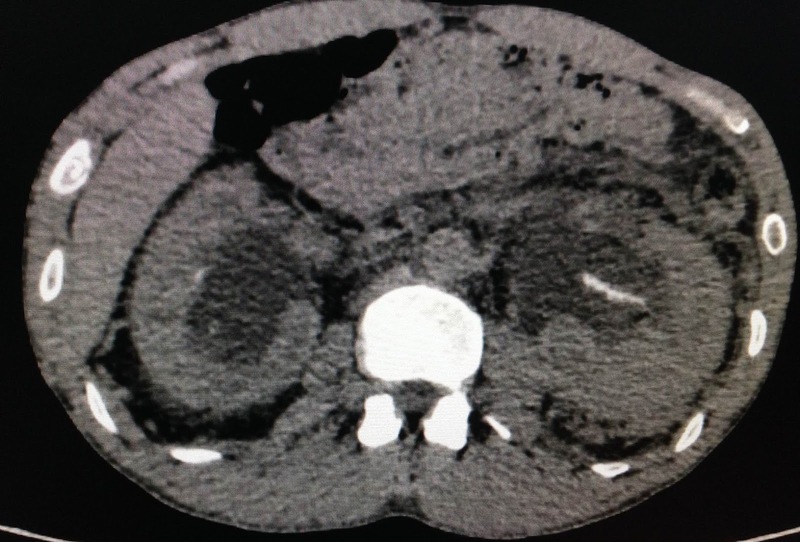 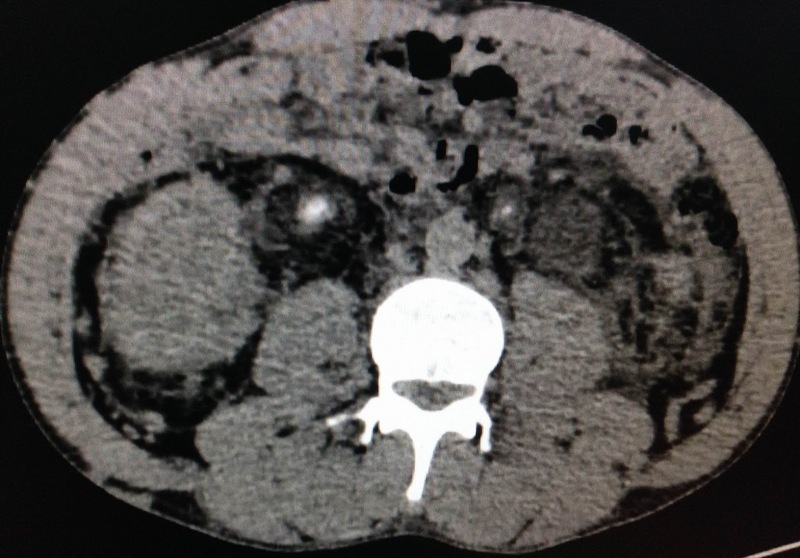 CT 2 with CE , CT 3: secretion phase; CT 4= small ureter on R and L sides. 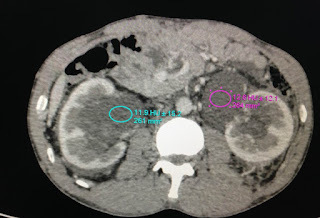 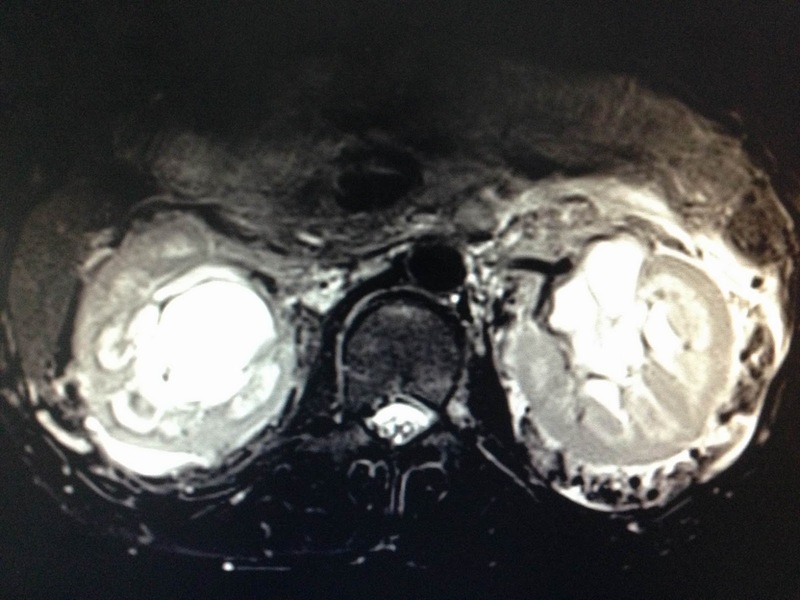 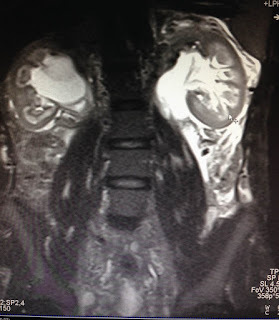 MRI 1, MRI 2= kidney non CE showed pelvis kidneys dilated and fluid collection around 2 kidneys. 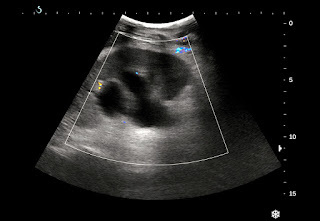 Ultrasound of the leg = dilated chronic deep vein thrombosis. 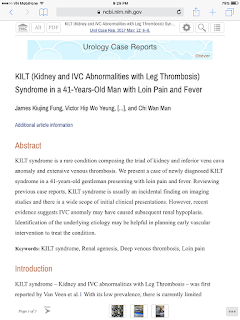 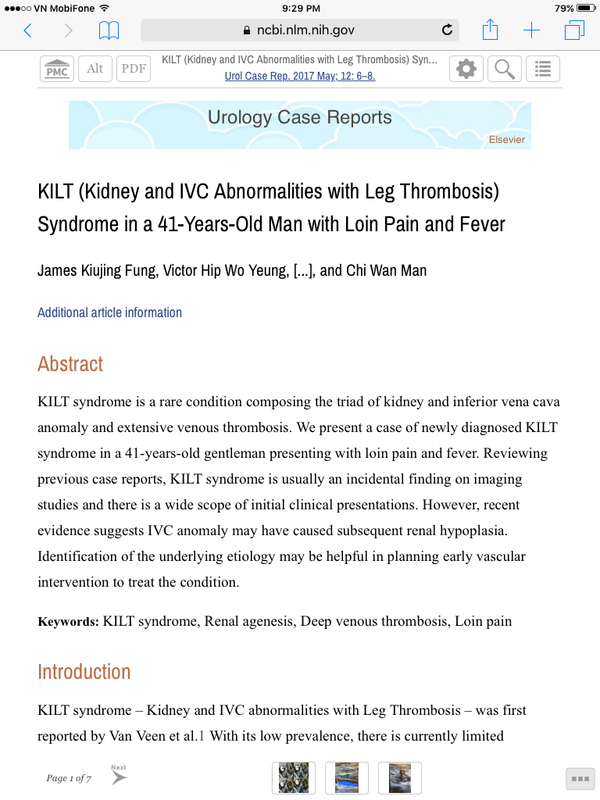 Conclusion= absence of IVC suprarenal with DVT of the legs, it is K I L T syndrome.